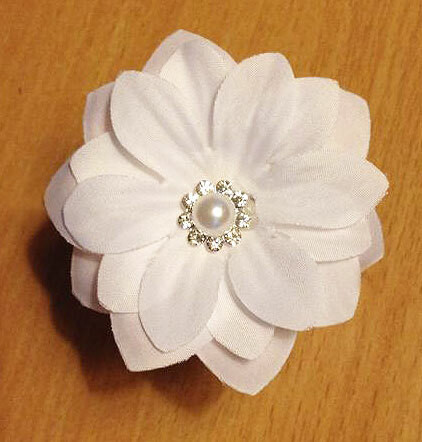 2.5" wide white bridal hair clip. 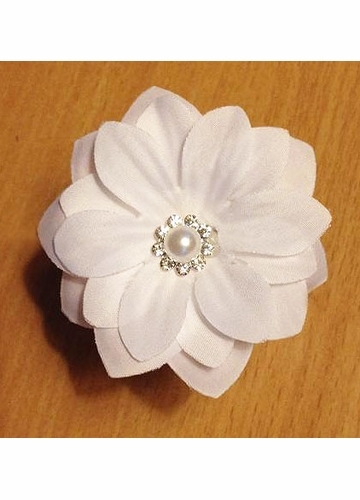 4-ply white flower petals with crystal and pearl center. 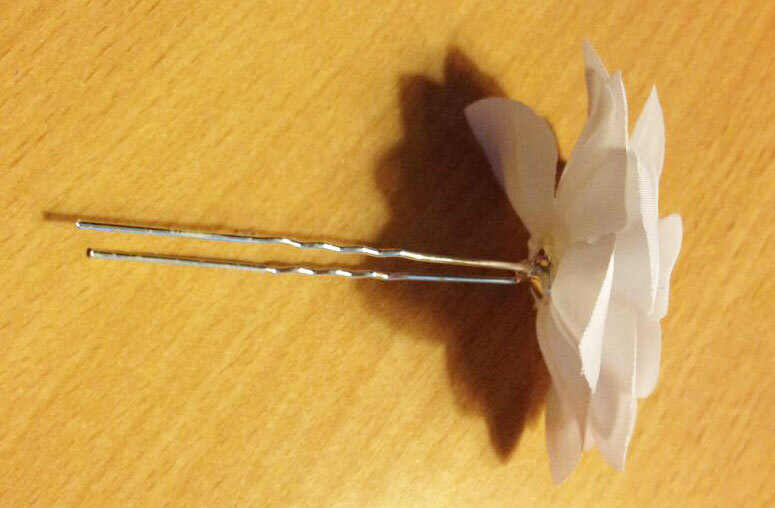 Pin backing for secure wear in updo hairstyles.